He was forced to go the distance for only the second time in his professional career, but he made history nonetheless. David Benavidez (19-0, 17 KO’s) defeated Ronald Gavril (18-2, 14 KO’s) by split decision in an exciting fight on the main event of ShoBox’s special edition at the Joint Rock Hotel & Casino in Las Vegas on Saturday. The victory earned the 20-year-old precocious puncher the vacant WBC super-middleweight title, and he became the youngest boxer ever to win a major title at 168 pounds. Two judges – Adalaide Byrd and Dave Moretti had it 116-111 and 117-111, respectively, for Benavidez. On the other hand, the third judge, Glenn Trowbridge, produced a score of 116-111 for Gavril. Benavidez, of Phoenix, was noticeably tired in the second-half of the bout and despite getting thrashed in the 11th round, Gavril came back to drop him with just 55 seconds remaining in the bout. Both fighters were tentative in the first round, but that didn’t last for very long. In a competitive third round, Benavidez nailed Gavril repeatedly to the body. However, the Romanian, who has never been stopped, continued to come forward. 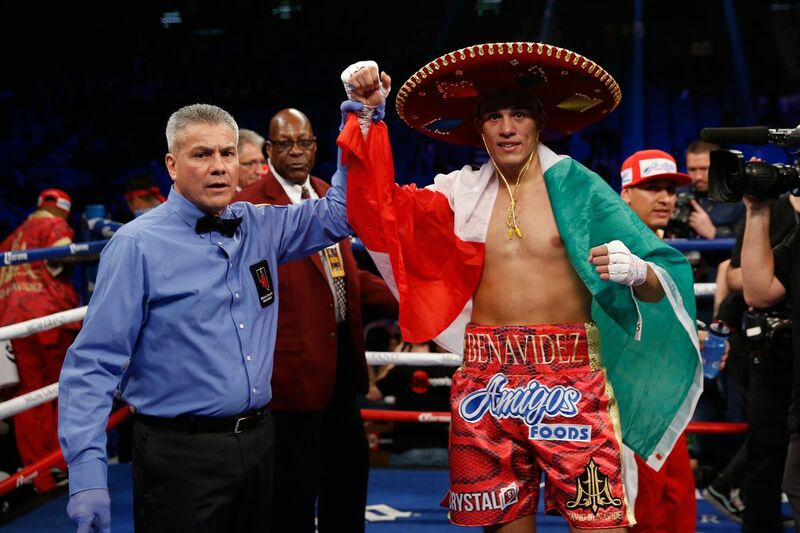 Gavril was able to connect with body shots on Benavidez in the sixth, but Benavidez smiled, leaned back against the ropes, and invited him to his house. They continued to trade leather, with Gavril landing with a series of right hands, and Benavidez stopping him in his tracks with a solid uppercut. It appeared Gavril’s work rate started to get to Benavidez in the eighth round, as he closed the distance, not allowing his opponent to utilize his 76’ reach in close quarters. After hurting Gavril with a right hand in the 10th, Benavidez caught a second wind and battered Gavril in the 11th, but was unable to deliver on the knockout he was seeking. Although he appeared to be winning the 12th and final round, Benavidez, exhausted, let his guard down, and was knocked on his rear by a short left hand. It was one scintillating bout, and it calls for a rematch somewhere down the line.